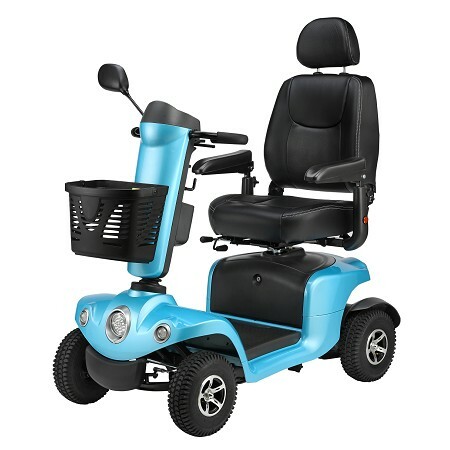 • Stylish new modern design with a modesty panel gives this scooter a smart attractive look. • Adjustable prestige car like suspension front & rear delivers a smooth ride over varied terrain. • Unique battery storage design allows for greater floor space & a safe secure lockable storage area for personal items. • New modern LCD dashboard display offers clearer more easy to read battery gauge, speed, time & temperature. • LED lighting system delivers brighter illumination with less power consumption. • Built in speed reduction switch which is activated when turning offering exceptional safety.